No other form of energy plays such an important role in our lives. That's because electricity is more convenient, more economical, more reliable and safer to use. So please follow these safety rules. Keep kites, ladders, tree trimmers, tools, antennas and other objects a safe distance from overhead power lines. Power lines may look harmless, but they can be deadly. And never, ever go near a downed power line. Call us if you see one. Everyone should know the benefits of electricity. They should also know the dangers. So teach your children how to safely use electricity at an early age. Some extra precautions now can prevent disaster later. Install plugs to cover unused outlets if there are small children in the house. Never leave lamp sockets empty - replace burned-out bulbs immediately. Children should never play near power lines or substations. Teach your children about the potential dangers of misusing electrical power before it's too late. Keep appliances such as hairdryers, radios, and televisions away from sinks and bathtubs. Always dry your hands before using them. 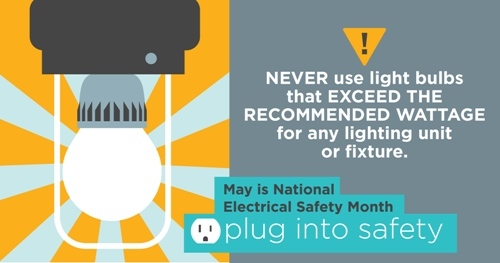 Avoid using electrical tools or appliances near water or wet ground outside of your home. Replace any frayed or cracked cords or broken plugs immediately. Avoid running cords under rugs or furniture to keep them from being damaged. Use extension cords only as a temporary connections. Never plug one cord into another. Never carry an appliance by the cord. Disconnect all appliances by pulling the plug directly from the socket, NOT by pulling the cord. Use only double-insulated power tools with three-pronged plugs. 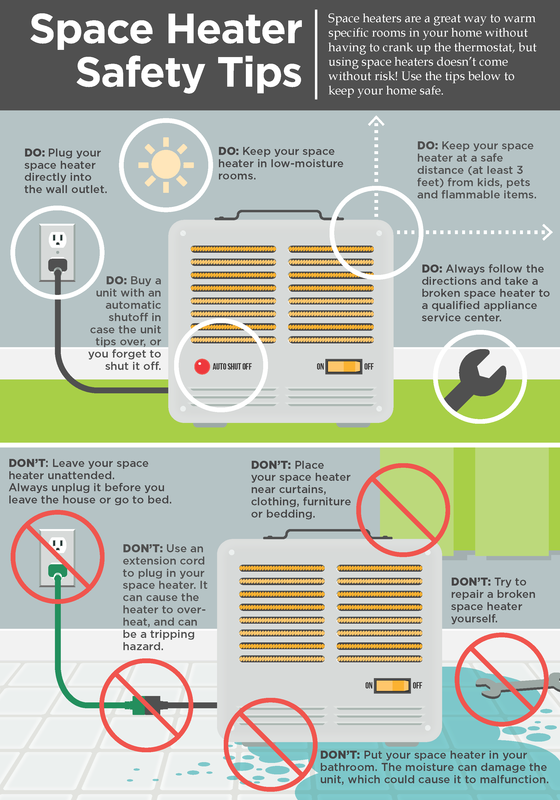 Limit the number of appliances plugged into a single outlet. Overloading a circuit can cause fires. Water serves as a conductor for electricity, and that can lead to serious injury or death. Keep all appliances away from water! Jump River Electric also has employees available to do presentations on electrical safety. If you would like to schedule a presentation for your group please contact us at 715-532-5524. 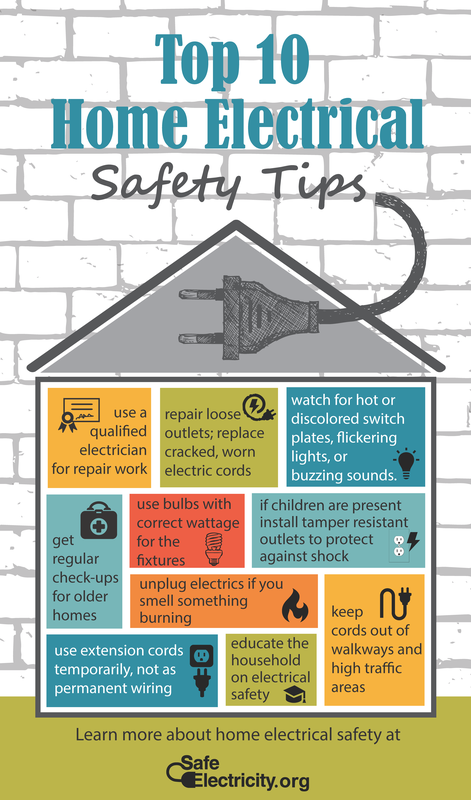 Additional electrical safety tips can be found on this page or you can also click on the following link http://www.safeelectricity.org to find out more about electrical safety. This site offers electrical safety video's and many other learning opportunities. Electrical power is an integral part of the modern farm operation and Jump River Electric Cooperative is proud to provide that dependable electric power that you rely upon. Jump River Electric also provides information about recent research, new technology and appropriate safety requirements as they apply to the farm operation. The following resources are aimed at assisting you with this goal. The National Electric Safety Code defines utility line clearance requirements. 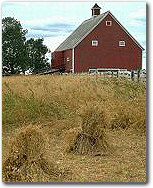 Farm Safety for Kids: Farms are fun places - with all that fresh air, sunshine, and room to run around. But they're also places where real work gets done. And some of that work involves equipment that can be dangerous if someone doesn't know how to be safe. Kids who live on farms really need to know what it takes to be safe. They probably help out on the farm and need to know the safety rules that can prevent injuries. According to the National Safety Council, farming is one of America's most hazardous jobs. Kids ages 10 to 14 are at high risk for injury, often because they take on a job or task that they aren't ready to handle. Portable electric generators can be very helpful to members during outages, but we urge you to follow the safety guidelines below to insure your portable generator is connected in the safest manner. Never connect a generator directly to your home's wiring unless your home has been wired for generator use. This can cause backfeeding along power lines and electrocute anyone coming in contact with them, including lineworkers making repairs. Set up and run your generator in a well-ventilated area outside the home. Make sure it's out and away from your garage, doors, windows, and vents. The carbon monoxide generated is deadly. We encourage you to protect the well-being and safety of your family during outages, and safeguard those who come to your aid during emergency situations.